Jay releases the second developer commentary on Super Mario Bros Crossover, featuring Bill Rizer and Link. 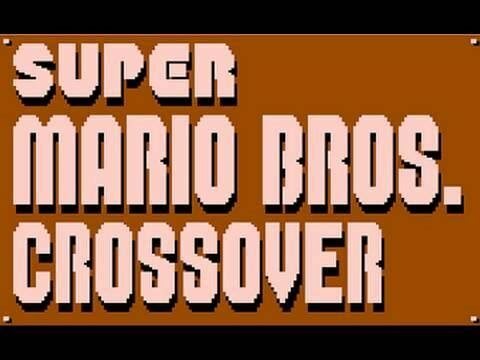 I recorded another developer commentary video for Super Mario Bros Crossover. I really enjoy making these videos because I’ve never had a chance to talk to people about any of my projects. I hope you like it. There isn’t much news to report at the moment. I’m working very hard on SMC and hope to have an update out in a few weeks. I’ve noticed a lot of people posting videos on Youtube about the game. That’s awesome. Also, a lot of people have been making feature requests. Don’t worry guys, I won’t let you down. There will be awesome stuff coming in the future, and I read all your requests and consider them for the game. With enough time, I could make this game even better than my original plan, which was very ambitious. Thanks for everything! I’ll keep working hard for you. I can’t even begin to describe how much I love these videos. Especially enjoyed the description of animating Bill. The emulation is so spot on that when I played it before watching the developer vids, I just assumed you figured out some magical way to transplant Bill into SMB. just want to know what font type did you use for the scores, names, label display etc. The font is called Emulogic. I don’t remember where I got it, but you can probably find it if you google it. Fabulous work, man!!! You are a genius!!! I love playing this game. Congratulations from Argentina. #1: Props dude. Way awesome game. #2: I’d like to add another vote for Zelda 2 Link. I <3 him. #3: Character Wish List – Final Fantasy fighter, Joe/Mac, Ninja Gaiden? Hey i very love this game. But if I want play it with friends ? Make it for 2 players too. It will be very cool at make this game very coooool ! THX FOR THAT GAME. ITS LIKE DREAM !! Regarding the Ma 8th 6:17 pm question about how Link switched to full-power mode, the answer how is provided by 2m47sec – 2m54sec in the video. Regarding the manual ( http://www.exploding-rabbit.com/games/super-mario-bros-crossover/manual ) which indicates (at the time of this writing) uncertainty where the the alarm sound (from being low on time) for Bill Rizer comes from, the sound made during the end of the Hangar level. I don’t know if anyone has suggested this yet, but Bub or Bob from Bubble Bobble would be amazing in this game. wow i didnt know you could us the boomerang to catch the mushroom or flower, my likeness for link has leveled up lol. im going to see if you can catch the star with it. Ever think about just doing what SSB does and have Adult link as a separate character? Bravo. I tip my hat to you, sir. How did link automatically turn fire at 6:42? Did you make it do that?